Detacher Co. operates a website at the domain www.detacher.co. It was registered in April 2011 and operates out of the United States and Australia. According to their about us page, they have two shipping centres, one in South Carolina (US) and another in Western Australia (AU). Detacher Co appears to be relatively up-front about the integrity of its own operations: Their testimonials page contains a snapshot of their Google Wallet rating (4.0 out of 5 stars), and they acknowledge their overall rating contains a few bad reviews which they have not attempted to hide. We’ve been told that since November 20, 2013, Google Checkout for tangible goods has retired, so the website now hosts an open platform based reviewing system. On some of its pages a Norton Secured trust seal is displayed. We successfully verified their safety claim at safeweb.norton.com. This is a rarity, because out of all the websites we tested on this blog, this was the only one to be Norton secured. Prices for the Sensormatic hook start at US$24.98, shipped, and get cheaper the more that you order – for example, the price for five pieces is US$79.95. The Golf Superlock Detacher (FX7) starts at US$99.95, shipped. Recall that these items are dispatched from South Carolina (for US customers), not from overseas sources. ETAs can be viewed on their shipping information page. 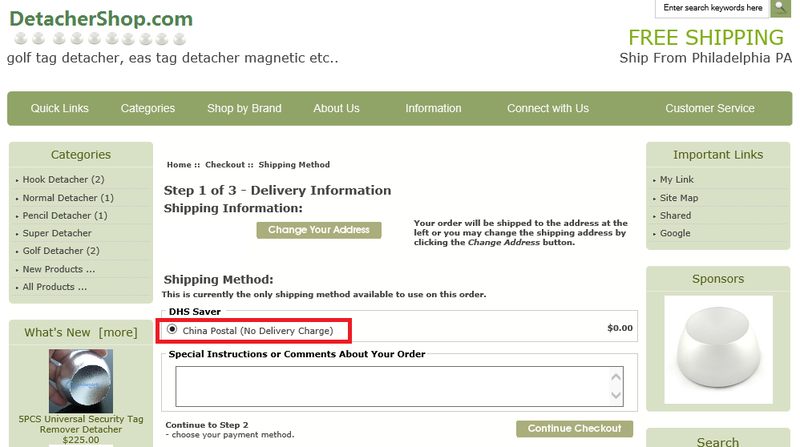 When conducting background checks of this website, we discovered that Detacher Co. is owned and operated by Tag-it! Security. This business has a registered name and Australian Business Number (ABN) listed at business.gov.au. Tag-It! Security runs its own, separate loss prevention website and appears to offer a wider range of security tags and detection systems. 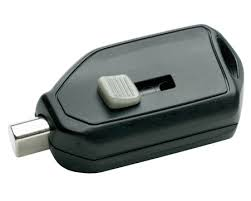 Alternatively, Detacher Co. specialises in security tag removal devices and deactivation systems. If you know anything else about this business, leave a reply. TAGREMOVERS.COM EXCLUSIVE: Wal-Mart is currently in a heavy cost-cutting exercise aimed at reducing its Asset Protection workforce, and replacing them with ‘asset protection customer specialists’, which in basic terms translates to ‘glorified door greeters’. The news comes soon after a Wal-Mart loss prevention officer was shot and killed pursuing a suspected shoplifter. Sources working at Wal-Mart have informed us that team numbers for APAs (Asset Protection Associates) have been cut by at least two to three staff per store, in some cases leaving only one fully trained APA remaining. Some stores have also reported losing their APM (Asset Protection Manager). Naturally this is causing issues for proper monitoring of PTZ (pan-tilt-zoom) equipped stores which require more than one APA to maintain constant visual contact. Constant visual contact is a policy that LP professionals must follow in order to make an apprehension. The restructuring program commenced under the direction of new Asset Protection senior strategy manager, Joshua Ridgeway, who was promoted by Wal-Mart in March, 2016. Full details of the plan are still under wraps, but indications point to a change in Wal-Mart’s ‘stop’ policy, which they now seem to be moving away from. This will ultimately result in fewer apprehensions. Here’s a link to the discussion on Facebook. More to come. Subscribe for updates. Our first vendor review for the year sets our scope on tagdetacher.com. It seems the industry has gone full circle, and we now have new sellers popping up using the legendary Vini technique. To set up a dodgy operation and attempt to legitimise it by writing ‘reviews’ about yourself from ‘happy customers’. Since this type of industry (security tag removal equipment) continues to lack vendor reviews due to the nature of the items being sold (and the fact that eBay and Amazon continue to remove these types of listings), we’ll do some of the dirty work. The only way to review a site fairly is to become one of their customers, so we went incognito and placed an order with a US shipping address. We did this because their terms and conditions page implies, without clarifying, that items ship from the United States. However, much to our disappointment, we later discovered the seller is yet another Chinese drop shipper. Tagdetacher.com is owned and operated by Shenzhen Tong’an Electronic Co., Ltd. But we did find an email address, sales@tagdetacher.com, and sent a message to it offering them an opportunity to respond. But after not receiving a reply from them in three days, we started a PayPal dispute. Then suddenly, as if by some sort of scam magic, we got a response form them instantaneously. why you dispute? pls give me convince and this kind of item is very typical. we can provide you very high grade sevice. You do no know how deep I want your business hot, bucause, only if that you can give me a big order. We sincerely want to support your business ,pls do not dispute. I not send item to you until you take dispute. Okay. I think what Google Translate is trying to say is that we won’t get our item unless we cancel the dispute. But we’re not cancelling the dispute because that’s our only form of insurance. We told the seller in no uncertain terms that their only option was to ship our item, as promised, and provide a tracking number, as promised. One day later we got a China Post reference number. Four days later we were able to track the item as it left Shenzhen, China. This looks like a seller taking orders on their own website and then placing those orders on Aliexpress or Taobao. That is, they’re a middle man posing as a supplier. But that didn’t prepare us for the hideous surprise we got in the post about a month later – the Clothes Security Tag Remover Detacher EAS Hook Key, or simply, a detacher hook. But we ordered the 15,000GS magnet. The dispute with PayPal was immediately escalated to a claim, but we knew this was going to cause problems because the seller was going to use the tracking information against us. Indeed, the item was marked as received by USPS on January 20, 2016, but there is no clue as towards its contents. The seller has denied any wrongdoing, but the case now rests with PayPal. We’ll update this post once they have a final decision. Until then, we’ll refer to tagdetacher.com as fraudsters for intentionally sending an item ‘significantly not as described’. Still looking for Bad Ideas? After Zoklet (a post TOTSE bulletin board) closed in the latter half of 2014, many of the Internet’s unwanted were left without a home, and we’ve since noticed a fair few posts around the web asking for forums similar to Bad Ideas. So, rather than updating the Zoklet has gone offline post, we thought users might want a regularly updated list of similar forums as they come and go. List last edited January 11, 2016. 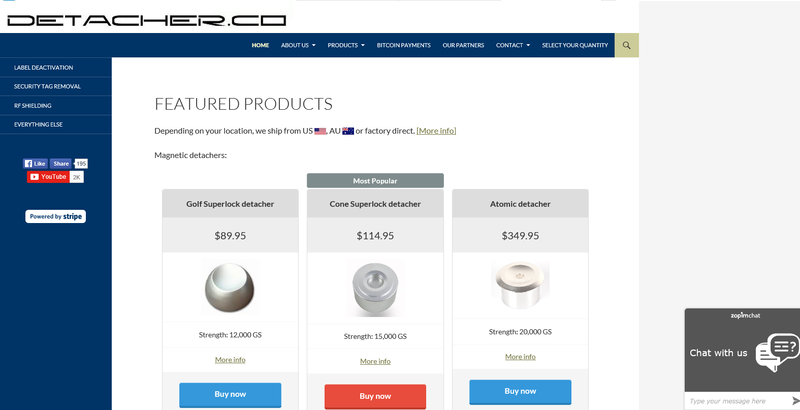 The price includes a sample Supertag, and shipping is from a safe US location. Not sure how long this deal lasts, so get it while you can. Craze Co is an Australian based seller of shoplifting and graffiti gear and is owned and operated by Alec Leslie Zammitt. His principal place of business is located at 3 Banksia Pl, Greystanes NSW 2145, Australia. According to Google Maps, this address appears to be a common place of residence in the far western suburbs of Sydney. Essentially, the seller appears to be operating a drop ship business, selling knock-off goods freely available on websites such as Aliexpress, but at a significant mark-up. This is probably an attempt to avoid prosecution by Australian based authorities, as can be seen by some recent publicity. Our verdict: If you’re going to buy knock-offs and risk having them imported to your country, save your money and buy them from China yourself. However, since our launch three years ago, we have always maintained that the safest way to buy security tag removal devices is from a local seller who ships from the same locality. This reduces the chances of your items being seized by customs and border protection, and keeps your personal information safe. For any of our readers that also lurk in the realms of Zoklet – the rumours are true – the website will be shutting down in a matter of days. We can’t release the exact details of why this is happening, other than to say that it involves the leaking of personal information of one or more of its high level users. This essentially means that the entire Zoklet forum will be pulled down to prevent certain persons from being linked to criminal activities. It also means that federal agents now have access to real life identities, and they may use that information to advance their investigations into Internet crime, of which Zoklet could be accused of perpetrating. List last updated January 08, 2016. See the comments below. If there are any further developments we’ll post them. U.S. Customs and Border Protection has issued a statement warning Internet users of their liabilities when purchasing certain goods from overseas suppliers. More often, we are hearing of items (potentially used for shoplifting) being seized, such as the detacher hook or magnetic pocket detachers. Can the goods be legally imported? Can you trust the seller to provide accurate information about the item being shipped in the Customs section of the shipping documents? So, if you’re not a shopkeeper, and you shouldn’t be in possession of these items, then you certainly should not be importing them. We advised our readers in a post on August 12, 2012, to avoid the issue altogether by purchasing from reputable USA based sellers. By doing so you avoid any permit issues and will not have your shipment scrutinised by a U.S. Customs and Border Protection agent who has the power to seize your goods and notify any relevant authority. 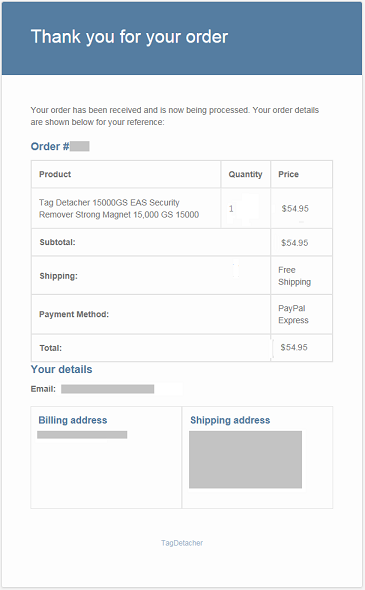 In the security tag removal industry there are a lot of fly-by-night scams, so we tend not to review new vendors the moment they appear, because they are often shut down soon afterwards (the last being shopliftinggear.com). However, recently, we’ve discovered one that has been registered for over a year. It’s origins are a little mysterious, so we’ve enjoyed uncovering the who and what during this investigation. 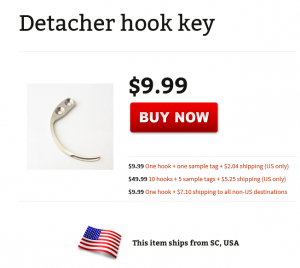 The website known as detachershop.com is operated by a Chinese distributor, posing as a US based seller. They have also operated other websites (e.g. tag-remover.com) which have disappeared after bad reviews and warnings of intent to scam. On their current homepage there is a heading indicating they ship the few items they sell from Philadelphia, but we discovered that all of the items actually ship from China. If you fail to notice this message on their checkout page, you’ll be waiting a couple of months for your item, if you’re lucky enough to get it at all. The name of this Chinese distributor is Jimmy Yang of Shenzhen Unitoptek Electronics Co Ltd, better known as Unitoptek. He, or they, operate an account on what we consider to be a high risk website, Aliexpress. Like other sellers on Aliexpress, Unitoptek pose as manufacturers but are merely intermediaries (middle men) passing on their mark-up. 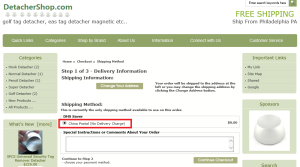 Furthermore, the goods they sell are not OEM, but generic in design, and statements about the strength of their magnetic detachers should be taken with a pinch of salt. The domain name detachershop.com was registered July 10, 2012. The store contains four items for sale, but it’s unclear how one is supposed to pay for them. We attempted to make a purchase, noting that the website displayed Google Checkout (now defunct for tangible goods) and PayPal. It’s possible their PayPal account has been terminated (or ‘permanently limited’ if we’re to use correct terminology), or they may have decided to stop taking payments. Unfortunately, we can’t pinpoint from what time this may have occurred. We recommended that people use caution when visiting the detachershop.com website. Most of its content is plagiarised, including all of its images and much of the product descriptions. Also, the telephone number listed diverts to a Google Voice voicemail, and we were unable to reach a human being on all of our attempts. Worst of all, the buyer runs the risk of authorities or customs either seizing or tracing the items to addresses located in the USA. We’ve discussed this issue before and hence always recommend that buyers stick to using local, reputable sellers, thereby avoiding customs and the hassle of returning faulty or fake goods to another country. The InVue OM Key is a device used to open locking display hooks and stop locks (i.e. hanging merchandise). The detacher is not as well known as some of the other magnetic keys on the market, such as the S3 Handkey, as its distribution is closely guarded by InVue. Checkpoint Systems, Inc. acquired InVue in 2007, which was formerly known as Alpha Security. According to the company, the OM (orthogonal magnet) Key generates a perpendicular force that provides a more secure interface. This means that a standard neodymium magnet, no matter how small or big, won’t work. In fact it doesn’t matter how strong the grade of magnet is because, in this case, the strength of the magnet is irrelevant. You can see that the insertion points are uniquely shaped (the OM Key opens both). At the rear of the display hook the OM Key releases the locking mechanism from the wall (or slat-board), so that the entire hook can be repositioned (or removed). Toward the front of the display hook, the OM Key inserts into the stop lock, and allows the user to remove it, along with the desired number of items from the display. 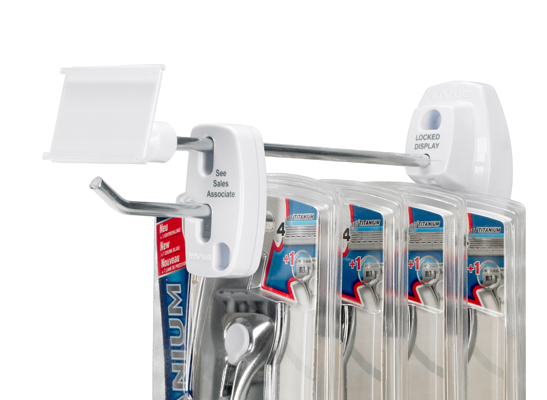 Stores that already have their own display hooks can use the stop lock device by itself, because it prevents merchandise being removed while in place. One thing to point out here, is that the InVue stop locks pictured further above are not the same as a stop lock without an insertion point (as shown here). The red stop lock in this image can be easily opened with a Pocket Detacher because it doesn’t contain any special aspects to its design, and works much like a normal security tag. We tested the OM Key on this type of stop lock and it didn’t work, simply because it wasn’t as strong as the Pocket Detacher. So, it seems its use is limited to a specific design purpose. OM Keys aren’t widely available, but we tracked down a generic version from a store at eCrater. Cost is US$49.95, plus shipping, and you get a sample stop lock for testing purposes. The package from this vendor was shipped from the United States, and took three business days to arrive. The stronger the magnet, the more quickly and easily you will be able to remove security tags. So if you’ve ever been stuck in a situation where your magnetic detacher doesn’t perform in a timely fashion, it might be time for you to invest in a device that’s guaranteed to be in the 15,000+ Gauss range. Not every tag needs a detacher this powerful, but as manufacturers continue to evolve and make stronger security tags, this might be the right choice for the future. Naturally, more powerful magnets come at a greater cost but, relatively speaking, there’s not a huge difference. The 15,000GS Cone SuperLock Detacher sold by Detacher Co. comes at a price of US$124.95, shipped. That’s about US$25.00 more than a detacher rated with 12,000GS. It’s 500 grams (1.10lb.) in weight, has a diameter of 75mm (2.95in), and a height of 40mm (1.57in). The extra power comes from the larger, higher grade, inner neodymium magnets. From the design, we can also tell that the head of the magnet sits flush against the top of the alcove, giving it greater proximity to any hard tag that is placed on top. And if you look even closer, you will notice a subtle crater that surrounds this area. 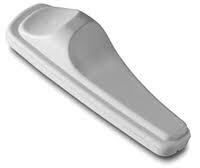 Reason being, it adapts the device to clam shell (or ‘golf’) tags that have the same shape. Basically, this means you get the best of both worlds because it doesn’t matter whether your tags are round, dimpled, cone shaped, or whatever. Is there anything this detacher doesn’t open? Short answer; yes, it doesn’t open SuperTags… But you should be aware by now that this post is discussing RF (not AM) security tags. This is because pretty much all RF tags are magnetic based, and need a strong magnetic force to open them. 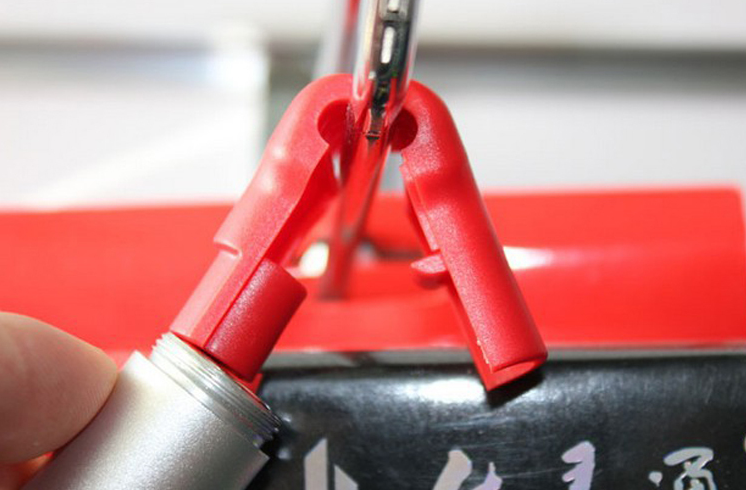 Conversely, Sensormatic SuperTags, which are acousto magnetic (AM) in design, require a Sensormatic Hook to open – and the hook is a key – not a magnet. Check out the video below where this detacher is tested, opened up and dismantled..